The last long weekend of the year is ahead of us! If you haven’t made plans yet, don’t spend your weekend moping around the house complaining that there’s nothing fun to do – because we’ve scoured the country to bring you some of the very best things New Zealand has to offer, whether you’re going away or staying in town. So get out there, make some memories, and turn an ordinary day into an extraordinary one. Gather your friends or family, channel your inner cowboy, and head to Martinborough to soak in some of New Zealand’s most amazing scenery with Heavenly Adventures. Your two-hour horse ride will take you uphill and down dale exploring one of the oldest farmed stations in the country. There are wide open riverbeds, rolling hills, and magnificent views of the Haurangi Mountains and the Southern Ocean. And there are no excuses for not getting out there because there’s a horse to match any experience level. 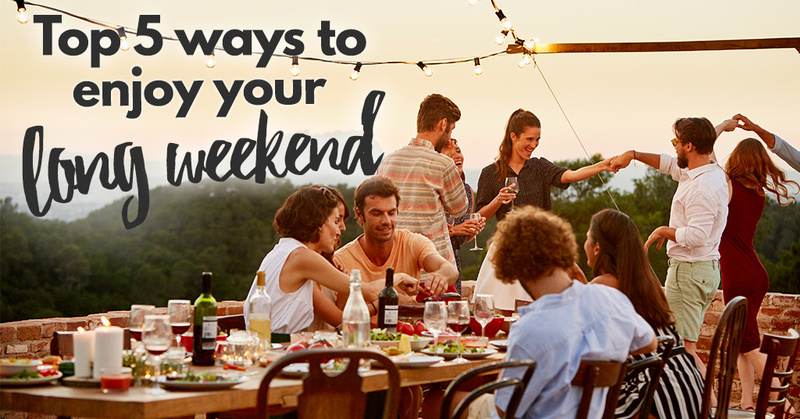 If you’re struggling to keep up with everyone in your life, a long weekend is the perfect time to make time. Take someone special in your life along to Mish Mash and experience the incredible menu and cocktails at one of the newest fares in Christchurch. Because there are few things better than going out for dinner – not only do you get to enjoy good company, but you get to taste some finely-crafted food and avoid doing the dishes for the night. So many wins. Massages. Body scrubs. Facials. Make it the best long weekend of the year and treat yoself to two hours of total indulgence with a pamper package at Tranquility Beauty and Hair Salon. Step off the busy Auckland city streets straight into pure bliss and relaxation where you’ll experience a combined lomi lomi and hot stone massage, a full body sugar scrub, and a hydrating facial. Go on, you deserve it. PSA: Christmas is just over two months away! Soon enough, the malls will be decked with boughs of holly, the world will be pondering how Michael Bublé has managed to find enough holiday songs to fill yet another album, and you’ll be fighting over carparks on Christmas Eve so you can grab a last-minute pair of Disappointing Socks for dad. But don’t panic, dear reader, because our Christmas Giftinator is back to take away the stresses and uncertainty of holiday shopping. All you have to do is click a few dials and slide a few sliders and – tada! – you’ll have the perfect present for everyone on your nice list. If it’s not quite warm enough to hit the beach, head inside and spend some time frolicking in the snow instead. That’s right – ski season might be over, but you can hit the slopes at any time of the year at Snowplanet in Silverdale. Show off your sweet skills on skis, snowboard or tube as you catch some powder at New Zealand’s only indoor mountain. Make a day of it with friends, family or significant other, and grab a drink and a bite to eat at the charming 7 Summits Restaurant. If none of these take your fancy, check out what else is happening in your area.